I will start by saying information on these moths is very scarce. I have been unable to locate much on the life cycle, etc. All sources say the caterpillars feed on sagebrush ( and other vegetation) for the summer, then winter over as pupae in the ground. In the spring/summer, the moth emerges, mates and lays eggs. Adults do not feed. The life cycle seems varied depending on weather conditions, etc. Hatches per year vary greatly in numbers of moths. 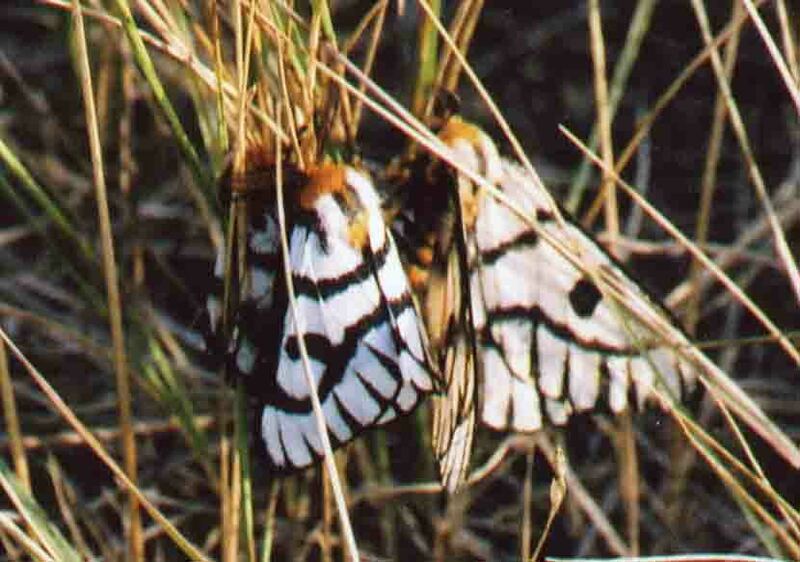 In 2006, I saw hundreds of the moths in Shirley Basin on our acreage. Since then, I have many caterpillars, but never more than a few moths at a time. This is a wet year, but cold, so we will see if that makes a difference. Part of the problem with researching the moths is they hatch at different times and in different numbers each year. If you are not there for the very short window when the moths hatch and lay eggs, you miss the hatch for this season. I have brought some caterpillars home and am trying to get them to pupate and hopefully hatch next summer. This may not work, since there are parasites that attack the caterpillars and keep them from pupating. 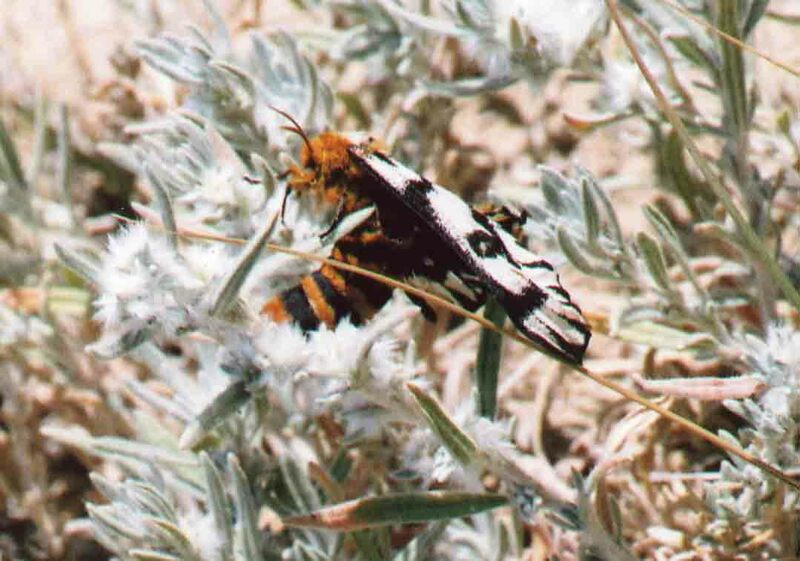 My thanks to Scott R. Shaw at the University of Wyoming for helping me identify the moth and caterpillar and answering my questions on the moth. If anyone has additional information on these moths, please let me know. These are such unique insects I would love to know there are others out there who are interested in the moths and any research that is ongoing. Thanks.